L.A.-based star Quinn Archer has a seductive and potent voice that can melt the steeliest of hearts. Having struggled in the quagmire of the U.S. music scene, it seems that the future will be a lot less oppressive. The young artist should prepare for a prosperous and busy future. I have been meaning to review this artist for a hell of a long time now. 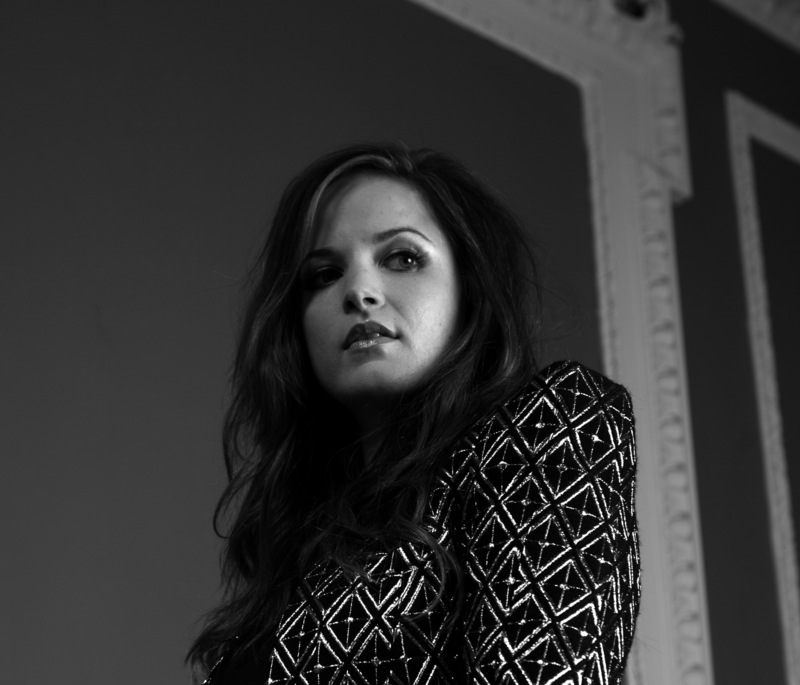 "British born singer-songwriter Quinn Archer’s music is a remarkable blend of gothic soul, a startling combination with a voice of an old-school diva and the temperament of a well-brought up angel. After spending her teenage years at a catholic boarding school in Surrey, Quinn escaped to the bright lights of Los Angeles. While there she played the circuit with her hard rock band Stereofiend, sang back up for Shooter Jennings’ band Stargunn and did solo projects with Ricky Philips (The Baby’s, Bad English) and Gavin Mackillop (Sugar Cult, The Rembrandts, Goo Goo Dolls). Most recently, Quinn has been playing with her band Juliet’s Royal Blood, before deciding to focus on her solo career once the band disbanded. Quinn’s tumultuous experiences while touring and playing the Los Angeles circuit come through in her music, expressing feelings of suffering and resolution all at the same time." It is difficult to compare Quinn Archer to anyone else, too directly. Her powerful and emotive vocals incorporate an element of Adele. There is that same raw power and sense of passion in her tone; when the voice is more romantic and imploring, it has elements of Christina Aguilera and (one of the U.K.'s newcomers) Alison Levi. In all honesty, Archer comes across as a unique and original talent. If you are a fan of Adele and Aguilera then you will not be disappointed, but her music appeals to those whom adore a strong and compelling voice: one that is filled with conviction, urgency, beauty and seduction. Rest of My Days is a slight departure from Archer's previous works. Dark Places have a weighed and empty heart; the track looks at a former love who has broken Archer's heart; she confesses she is done wasting tears (on him), and the song looks at a break-up that has left its scars. Walk Through The Fire investigates love and trial-and-error; going through the bad times and making mistakes, in order to get things right. Thematically, Rest of My Days is more redemptive; its heart is more romantic and touching- yet a lot of common voice remains. Impassioned vocals, touching lyrics and a tender composition can be heard (as you'd expect), and Archer keeps all of her hallmarks and singular voice in tact. The song is a natural progression and a creative step forward; imbued with a sense of optimism, it could well point to what future songs will sound like. Touching and moonlit piano touches begin Rest of My Days. Instantly, anxieties and stresses are calmed, as the soothing notes seep into your senses. When Archer approaches the mic. her voice is beautifully still and evocative. Speaking to her sweetheart, she knows that he'll come "through the dust and smoke"; Archer's heart is firmly on her sleeve and you can sense an emptiness and longing; a pining for her love as it were. When Foster come into the mix, you cannot help but ignore the instant impact. His voice has undertones of Aaron Neville, but is a darker and richer instrument; a perfect counterpoint to Archer's sweetness and delicacy, Foster's silky and husky tones are compelling and beautiful. When the duo's voices are entwined, the biggest emotional hit is elicited; the song's aching and heartfelt words come starkly to life. When the two sing "I still find it hard to believe/that I'm never gonna break your heart", you can hear that sense of loss and strain; the sense of heartbreak is evident. The song acts almost like a call across the oceans; you imagine Archer being in a lonely cafe in L.A.; Archer being in London or further afield- singing and calling to one another across the land. Throughout the early stages, the vocals are left to speak the loudest. Piano elements and intonations are kept sparse and unobtrusive; there is no needless noise or force, meaning that the whispered notes blend seamlessly into the mix- and augment the lyrics wonderfully. Our duo confesses that to be without one another forever would be too much to take; if life meant being without one another, then sorrow and loneliness would overcome them ("I could never make it through"). It is hard to thing or any modern-day duets that have such a force and beauty. A few recent attempts (by mainstream) acts have trodden the same themes and lines, yet none (for my money) have done so as effectively and stirringly. Archer and Foster's voice seem ready-made for one another, and it sounds like they have been singing with one another for years- that sense of intuition and naturalness come through in every note. The composition reminds me slightly of To Build a Home (The Cinematic Orchestra ft. Patrick Watson). There, subtle but yearning strings mingled with open-hearted piano to give the track an immense beauty, stillness and tenderness. As the closing notes are proffered, you wonder whether the duo ever made it to one another, or are whether their hearts are destined to remain disconnected and longing. Rest of My Days is a song to reflect to; when the light is fading and you are taking stock of your life, it is a track that helps the decision-making process. Similarly, anyone involved in a difficult relationship can find solace and meaning here; as can anyone who pines and longs for someone they cannot have. AS well as come home and see us here in the U.K.